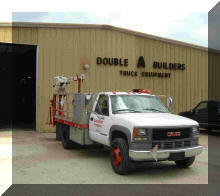 Double A Body Builders in Pamplico, SC started producing custom truck bodies 40 years ago. They now consume about 40,000 lbs of steel per week. Most of the steel arrives flat and is cut, bent and welded into about 120 truck bodies each month. 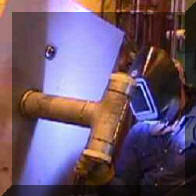 MIG welding is employed almost exclusively for fabrication. They use 0.035 inch diameter solid wire which allows welding in all positions. All 23 MIG welding machines use an Argon/CO2 shielding gas mixture to keep spatter to a minimum and produce high quality, visually attractive welds. The shielding gas is piped throughout much of the shop. Most of the wire feeders are located 30 to 40 feet from the gas supply pipeline. One off the owners, Ken Ard knew they were using more shielding gas then needed. Ken heard about the benefits of a recently invented product developed to solve the waste problem. He set up a test on two welding machines that had their shielding gas supplied with cylinders. The test started with full gas cylinders on both welders. One welder incorporated the GSS and the other used the standard ¼ inch diameter shielding gas delivery hose. Ken had read about the benefits of the GSS system and was pleased but not surprised that he achieved about twice the amount of welds with the cylinder of gas on the system with the GSS installed. Shielding gas is a significant cost in the operation and the savings achieved will assist in keeping Double A Body Builders competitive. After a year in production Ken Ard is very pleased with the cost savings results. He has expanded with 20 more welders, each with GSS. Go To published Article Entitled: " A Solution for Welding Shielding Gas Waste." It includes more details of Double A Body Builders test. A shop making large diameter pipe evaluated our Gas Saver System (GSSTM) in their MIG repair rack. In several tests using cylinder gas supply they found gas savings ranging from a minimum of 33% to over 50%. This was far more than enough to justify the purchase. However the biggest cost savings came from improved weld start quality! Details of Quality Improvement: While testing the GSS the quality benefits were clearly observed by the welder. This shop is often required to ultrasonically test all welds. Weld repair is made with MIG. These repairs must pass ultrasonic tests. For a repair weld, starts are a significant part of the deposit. With the standard gas delivery system, flow peak surge at the start exceeded 220 CFH. With the GSS the peak was lowered to under 90 CFH and that for a very short time. The welder who was testing the system knew this excessive surge flow with his standard system caused starting problems with internal porosity and stated that he; “cuts the wire back to the tip and starts with the gun above the work to allow the initial surge flow in attempt to reduce flow rate before the arc strikes!” The pipe does not leave his work area until all welds are checked and pass UT. He often was holding up production. Note: After about a year in production the welder using the GSS system reported, with no special starting technique, he found almost no weld start porosity compared to numerous problems previously encountered! Details of Test: The following shows graphically the peak surge flow measured with their standard 1/4 inch ID gas delivery hose versus our patented GSS. Note the GSS limits the peak surge and quickly returns flow to an acceptable level preventing air from being pulled into the shielding gas stream. With their standard 1/4 inch ID hose the flow exceeds 100 CFH for about 3 seconds. That flow rate is over the acceptable level needed to maintain quality Laminar flow and will pull air into the gas stream. You could use preflow to help, but a 3 second preflow not only wastes gas but would create a very unhappy welder! Would you like waiting 3 seconds every time you pulled the trigger? We find welders will zero out preflow even when it is set at 1/2 second! Weld starts with the GSS were smooth with less spatter. Also important, with the GSS there is still sufficient extra gas delivered quickly at the weld start to purge the weld start area and the torch nozzle of moisture laden air. That extra gas is essential to avoid a similar problems created by having excess flow rate; Click to See Why. MAJOR QUALITY IMPROVEMENT: As important as the shielding gas savings, with the 5/8 inch diameter welding torch nozzle employed, excess turbulent flow exists at about 55 to 60 CFH. Turbulence causes air to be pulled into the arc. Air is 73% Nitrogen and even 2% Nitrogen in the gas shield can cause porosity in the deposit. With their standard system when welding started, air was being pulled into the shielding gas stream for several seconds reducing weld start quality. Devices that eliminate all extra start gas (those installed directly at the feeder) cause similar problems as the excess gas flow surge. Moisture laden air is present in the gas shield at the weld start. See Results of Start Improvement With GSS At Fabricator Where Extra Gas Was Not Present. Even a 250 amp welder can benefit from the use of the GSS. 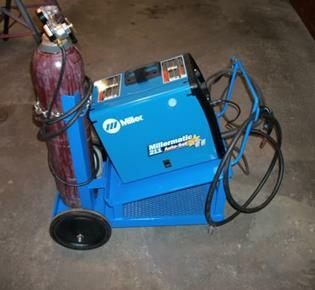 This example is a 250 amp Miller welder with built in feeder. This Street Rod Builder welds car frames and accessories. Although the welder and gas cylinder are on a portable cart, the system was connected with a conventional 12 ½ foot shielding gas delivery hose. This was installed to allow a remote cylinder to be connected when needed such as when switching to pure Argon for welding aluminum. A regulator/flowgauge is used to set gas flow rates. A pressure check at the regulator end of the of the gas delivery hose when not welding showed 30 psi. The gas flow at weld start was measured with a specially constructed high capacity rotameter flow meter mounted over the torch nozzle. With the original ¼ inch gas delivery hose a gas flow surge of 150 CFH was measured at the weld start. With the small torch gas cup employed a flow rate greater than about 40 CFH creates turbulence. Air is then entrained into the gas stream causing poor weld starts and possibly porosity. This turbulent flow will take a short time to stabilize to a smooth laminar flow even after it reaches the desired preset level. The GSS was easily installed by simply replacing the existing hose and threading on the GSS hose fittings (see photo above right). Flow surge at the weld start was about 50 CFH with the GSS installed and lasted less than a second. With the many short welds made and frequent inching of the wire at this facility, gas waste and use will be easily reduced by 50 to 75%. Kyle Bond, President, indicated a big benefit is the reduced time and effort in changing cylinders less frequently. Since short welds and tacks are the primary use of this welder, the improvement achieved in weld start quality is also a significant advantage. Kyle, an excellent automotive painter, was well aware of the effects of gas surge caused by pressure buildup in the delivery hose when stopped. He has to deal with the visible effects when he uses the long air hose lines on the spray gun in his paint booth! It's too bad we can't see the shielding gas waste as Kyle can the effects of excess pressure when he starts his spray gun! In fact the amount of excess stored pressure in the paint gun situation is actually far less than in our welding system! However the paint surge is visible! PS: A customer who purchased a 6 foot GSS (part number WAT FB6) reports better quality starts and improvement in "Tank Life," as they phrased their positive comments. "I received the GSS in the early part of a large project, building a 12’ x 24’ steel building. Before installing it on my Miller 211C, I had completed about 30% of the total welds, and had consumed approximately 400 psi of my Argon/25% CO2 gas mixture. As my project progressed I could tell I was consuming much less gas, so I increased the flow rate and my weld quality improved. In the following three months I finished all the remaining welds. The remaining 70% of the welds required only an additional 300 psi consumption of gas. Improvement in my welding technique accounts for part of the gas savings, however, considering I more then doubled the number of welds, while reducing my gas consumption by 25%, I’d say the GSS is a real winner! Before I installed the GSS I was being stingy with the shielding gas flow, and the poor quality of my welds proved that. With the GSS installed I was confident that I was not wasting gas, and increased the gas flow rate. The result withas that the appearance and quality of my welds improved dramatically. It not only saved shielding gas, but it increased my confidence. That’s a winning combination in my book! Thank you for a wonderful product that actually does what you say it will." Crunching the math for Beau Straley's gas usage: Over Twice The Welds Made/Used 75% of the Gas or 50%/75% = 67% Less Gas Used with GSS!
" We went from using 1 Dewar of Argon (liquid gas cylinder) a week to the same size Dewar lasting almost 3 weeks. The companies that sit on my advisory committee are becoming very interested in this upgrade. I will keep you posted"
They purchased 15 more Gas Saver Systems for the 2014 -'15 school year. Note: An advisory committee member, a Caterpillar Tractor plant, has purchased 100 Gas Saver Systems! An automotive company tested two MIG welders equipped with cylinders, one with their standard shielding gas delivery hose the other with a GSS . Initial results looked very promising so they installed Gas Saver Systems on 68 manual MIG welders. They operate with 0.035 inch diameter solid wire at about 180 amps for most weld joints. The Argon/CO2 gas mixture is delivered to each welder in a very efficient manifold system using a large diameter pipe header to ensure uniform gas pressure to each of the flowmeters. The shielding gas GSS delivery hose varies in length from 70 to over 100 feet. 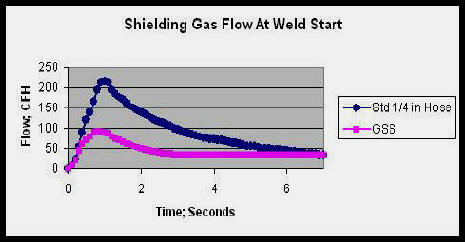 Initial results in this three shift operation show over a 30% reduction in total shielding gas used. This will result in a financial savings of over $50,000/year. Payback will be measured in months. A significant reduction in excess gas surge at the weld start is also achieved. Weld start quality improvements are being evaluated. After a year in production 44 more systems were purchased for installation during a maintenance shutdown making a total of 112 GSS's at this location. They then added they then added 14 more for new MIG welding robots. Note: If you want to test our GSS on a bulk gas supply you can use several cylinders of shielding gas but must use a regulator for the test that approximates your pipeline pressure. Email for Details. After measuring shielding gas surge flow rates in excess of 250 CFH, a primarily structural aluminum fabricator conducted a test to define the amount of argon/helium shielding gas they could save using a GSS. Tests were conducted in an area where cylinder gas supply is used. This allowed a direct comparison to be made with their standard gas delivery hose on one welding system and a GSS installed on another. Both were making similar welds. They found over a 40% shielding gas savings with the GSS. Weld start porosity was also a problem. Air being pulled into the weld zone by the high surge flow rates was no doubt a significant contributor to that situation. They installed GSS on 93 MIG welders both those welding aluminum as well as on those welding steel. With the high cost of the argon/helium shielding gas mixture the payback for the GSS investment will be obtained in about one month! Note: If you want to test our GSS for a bulk gas supply you can perform the test with several cylinders of shielding gas but must use a regulator for the test that approximates your pipeline pressure when welding stops. Email for Details. An interesting application of the GSS validates the need for some extra gas at the weld start. A bar joist manufacturer was using flow control orifices mounted at the wire feeders. Argon/CO2 shielding gas is supplied in a pipeline through about 15 feet of gas delivery hose. The flow control orifice established the flow at 45 CFH. However the welders wanted higher flow rates with some even drilling out the orifice! The welding engineer wanted to avoid wasting shielding gas. With this flow setting arrangement where control is mounted at the feeder next to the gas solenoid there is insufficient extra gas provided at the weld start. This lack of extra gas prevents to purging the weld start area of moisture laden air. A test was made to check weld performance and potential shielding gas savings using two cylinders of shielding gas on two adjacent welders instead of their pipeline gas supply. One was set with their standard flow control orifice system and a regulator providing a pressure that matched their pipeline, 50 psi. The other with a regulator/flowmeter (also of a 50 psi design) using a 15 foot GSS without their flow control orifice. Both steady state flows were set at 45 CFH. Since welders stand side by side, it was easy to observe the weld start quality! Instantly the welder using the GSS noticed improved starting. After about an hour with observably better results the welding engineer suggested we lower the shielding gas flow on the welder with the GSS to 35 CFH! The same improved weld start quality was observed and the welder was "happy." In fact even though we lowered the steady-state flow to 35 CFH there was still about the same controlled amount of extra gas available at the start (that stored in the GSS hose when welding stopped.) The higher start gas flow rate established by the surge flow orifice in the GSS maintained the higher flow at the start. This higher start flow rate quickly flooded and purged the weld start area of moisture laden air. It was this air that was casing excess spatter and lack of shielding on all their other welders! After about 4 hours of observation it was obvious the spatter at the weld start was less with the GSS. We also measured a reduced use of shielding gas of 25+%. After several months of testing to check this one system during windy days etc, this shop now has GSS's installed on all 50 welders! Pipeline pressure was set to provide the steady state flow rate desired. Bottom Line - - "Some extra gas flow at the start is very beneficial." In addition, after about a year of use their bulk gas supplier called to see if their business had turned down since they were using 30+% less gas- it had not! (Note, the best way to look at weld start quality and spatter generation is NOT to look though a welding lens! BE CAREFUL, but block the arc with a piece of cardboard or a gloved hand and lower it until just the arc is blocked. You can then see the amount of spatter clearly! Remember the excess spatter is an indication of the problem being caused by moisture laden air in the gas stream.) Also note that any flow control device installed right at the feeder, be it an orifice flow control or a flowmeter will have the same lack of sufficient initial shielding gas to purge the weld start area. An interesting side note from this bar joist manufacturer: When evaluating the fittings they would need for their 45 MIG welders, it was observed that one installation had a low pressure "Gas Guard" regulator / flow control device mounted at the feeder. It had an output pressure gauge calibrated in CFH (Photo Right). The maintenance manager indicated these had been installed on all welders several years before at a cost much higher than the GSS and had to be removed due to inconsistent results. The one remaining was adjusted at a very high flow rate according to the flow gauge reading. The maintenance manager indicated it would not be reinstalled and was surprised it was still there! See information that defines why they probably experienced these problem! See another report from a welding engineer who had to remove 32 low pressure devices from his production lines. See Another Bar Joist Company Survey where they mounted flowmeters at the wire feeders to reduce surge. They had insufficient extra gas at the start and used increased flow rates to try to compensate - wasting gas! A Texas based manufacturer of various types of truck storage boxes purchased a 25 foot Gas Saver System (WAT FB25) to check for shielding gas savings. They picked a repetitive job, welding doors, and started with a full cylinder of gas. 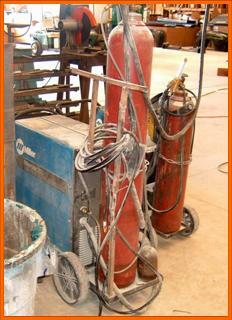 Welding with 0.035 solid wire MIG, using their standard gas delivery hose, 236 doors were completed with that cylinder. Putting on a new cylinder and the GSS, 632 doors were welded before the cylinder was empty! That is 2.7 times more parts. The gas savings can be stated several ways. In the base test, with the normal gas delivery hose 300 CF of gas was consumed welding 236 parts. With the GSS they consumed only 300 CF x 236/632 = 112 CF for that same number of parts. Therefore 300 CF-112 CF = 188 CF is wasted with their normal system! And the GSS still provides the proper amount of extra gas at the weld start and maintains the pressure in the hose to automatically compensate for restrictions. 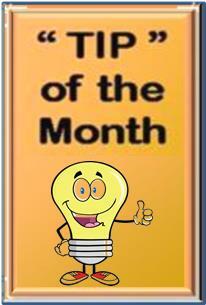 Calculating the gas savings as a percentage of prior use; (300 -112)/300 = 63% gas savings. Or said another way it takes 300/112 = 268% more gas to weld the same number of parts. After these impressive results, 25 GSS's were purchased for the whole shop. Stated another way; to weld 632 doors with their standard system theywould have needed 2.7 cylinders versus one with the GSS !! After several years of use they needed another 10 GSS's for new MIG welders. 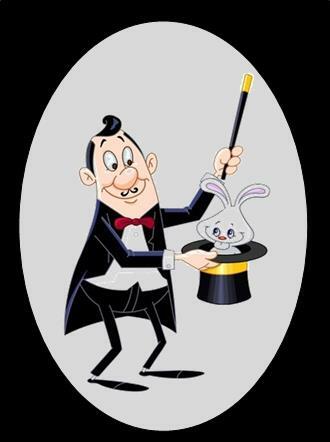 They asked for more "Magic Hose!" A Mid West Pipe Fabricating Shop tested a number of systems to determine how much shielding gas could be saved while maintaining their high quality standards. The Gas Saver System came out on top with 41% gas savings. They selected a repetitive job for the test. With their standard gas delivery hose they used 32 pounds of flux cored wire with a full cylinder . With the GSS installed and a new cylinder, with all the same welding conditions and part, 53 pounds of weld metal were deposited! That calculates to a 41% gas savings. The GSS also supplied a controlled amount of extra gas on weld initiation for quality starts and retained the ability to automatically compensate for flow restrictions (which low pressure systems do not!) Since their test was made with a shorter gas delivery hose than will be required on most weld stations, their gas savings will be even greater! This shop uses a number of dual MIG feeders to handle, for example, solid steel wire on one side and stainless on the other. Both may require different gas mixtures. 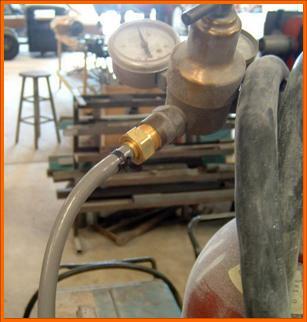 A TIG system is included on many stations for root welds etc requiring a different shield gas. For many of the weld stations that means three separate gas lines running about 25 feet back to their respective gas supply . They purchased 115 GSS's to equip their whole shop. Two years later they expanded their operation and ordered 80 more systems and another 20 in December 2012 after 4 more years. When placing the last order it was mentioned they were very pleased with the gas savings results and the durability of the GSS. A major US producer of Trailers purchased two 25 foot Gas Saver Systems to evaluate in one of their production plants. They found significant savings in their test and purchased a total of 71 systems. Six months later they report a shielding gas savings of 25% in production. They are now broadcasting the word to their other plants. With Argon price increases of 25 to 40% publicly announced over the past 2 year this allowed cost containment to maintain their competitive edge. A manufacturer of automotive exhausts uses over one hundred Robot Welders. They have only a 6 foot shielding gas hose from the flow control at the gas source to solenoid! After a number of tests of the Gas Saver System (GSSTM) conducted during a Black Belt Lean Manufacturing Study they measured from 25 to 40+% shielding gas savings depending on the specific weldment. They have installed GSS's on all 128 of their Robotic Welders! They recently installed our patented Flow Rate Limiter and Lock to control the flow set on their pipeline flowmeters. This device fits most US made flowmeters and regulator/flowmeters. In addition, the controlled amount of shielding gas delivered at the weld start, at a flow rate that does not pull air into the gas stream, can eliminate the need for preflow. Preflow is sometimes used in an attempt to circumvent initial high gas surge causing air aspiration and resulting inferior weld starts. This is particularly a problem with Pulsed MIG welding. With the GSS optimum starts are achieved without wasting valuable cycle time and shielding gas. A manufacturer of automotive seats installs 60 GSS systems. They also have short gas delivery hoses on their Robotic Welders and find the gas savings very significant. Robotic users show that even with a short gas delivery hose, the standard size provides excess shielding gas and excess gas flow at the weld start. A manufacturer supplying fabricated steel and aluminum parts for use in military components purchased 350 GSS's as they switched from cylinder to pipeline shielding gas supply. They evaluated the GSS and in addition to shielding gas savings they found the hose was very rugged and well suited to their tough environment. They needed new hose to connect to their pipeline. Since our GSS did not cost much more then conventional hose they followed our "Just Do It" statement in our PayBack calculation page (CLICK TO SEE). They understood its ability to reduce gas waste since they were aware of the gas surge that occurred with their cylinder gas supply. With the higher pipeline pressures the gas waste caused by the start surge could be 50% higher. The GSS saves 80+% of the gas waste and improves weld starts. It provides a controlled amount of extra gas at the start to quickly purge air from the weld zone and torch nozzle. The starting gas flow rate is controlled to prevent air from being pulled into the shielding gas stream. Pipeline pressures would be above the 25 psi minimum required to maintain automatic flow compensation. By installing 30 WA Technology Flow Rate Limiters (WAT FRLL) and limiting the maximum flow that can be set, they assured a quality shielding gas stream and eliminated gas waste. The maximum flow rate is now set at 40 CFH and this setting locked-in. After an initial gas use audit, the calculated shielding gas savings was measured at 25%. With follow up audits the actual savings exceeds 35%. Texas Hydraulics also has begun changing its shielding gas delivery hoses to the Gas Saver Systems. During their initial testing they showed an 18% reduction in shielding gas use with less initial gas surge. A fabricator making chillers in Mexico (who is part of a large US based company) saw the need to reduce shielding gas waste and improve weld quality. The welding engineer tested a12 foot GSS on several jobs to see what savings they might achieve. The savings ranged from a low of 30% and a high of 42% easily justifying the investment. They now have 115 systems and will enjoy the benefits. They also make excellent use of our Portable Flowmeter ( WAT PFM ) to check flow at the inlet to their wire feeders and then at the torch. They recently found a significant flow reduction caused by a clogged torch. Even after changing the liner the flow loss was still excessive. Replacing the torch with a new one solved the problem! They are also evaluating our new Flow Rate Limiter. A company welding pipe flanges on various diameter irrigation pipe evaluated the GSS to determine what shielding gas savings they could achieve. Although the 120 MIG welders in the shop are on pipeline gas supply they employed several cylinders of the same shielding gas to get accurate usage measurements. Utilizing a regulator/flowmeter having a pressure equal to their pipeline pressure provided convincing results. On one size pipe they were able to weld 139 more joints with the GSS installed with a full cylinder compared to their standard gas delivery hose. On a larger diameter pipe 79 more flanges were welded. Overall they achieved over a 40% reduction in gas use. The payback was easily justified and they purchased systems for all their MIG welders. Want to evaluate a GSS for your application? Just measure the length of your existing gas delivery hose from feeder to gas supply and order a similar length GSS. If on cylinder gas supply just be sure to use the same brand/model regulator/flowmeter of flowgauge/ regulator if you’re going to use more than one weld station for comparison. Compare the number of similar weldments made with existing and GSS or measure the weight of wire used with a full cylinder with each system and obtain pounds wire used per cylinder of gas. If you’re on bulk gas supply simply purchase two cylinders of the same gas your currently using. Use regulator/flowmeters that have the same outlet pressure when welding stops as your pipeline pressure. Email if you want to know which to purchase. After several months of use a Second Order was placed. They now have 50 systems. Bucyrus Langfang Machinery Co. Ltd in China (now part of Caterpillar Tractor) sent pictures of the hose fittings on their wire feeders and flowmeters. As expected they were not CGA 032 "B" inert gas fittings. They asked how they should order fitted GSS's. The answer- just order the lengths needed and send an email or note with the order-"Splice Fittings Required Both Ends." 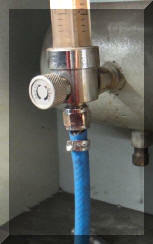 We sent fitted FB hoses with splice fittings (as shown in the photo above right.) The fitting on the feeder end included a peak flow limiting orifice. They simply spliced into their feeder and flowmeter hoses by cutting them about 2 inches from the existing fittings and inserting the hose barbs supplied with the GSS. Gas savings performance is the same as with standard CGA 032 fittings. The regional president told each plant in his area to purchase a GSS and conduct their own tests! We worked mostly with the plant managers who knew they would be asked by the corporate president about their results. There were careful to set their tests to get accurate results. 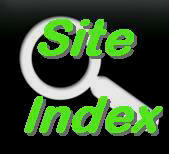 That is how we were able to obtain the excellent savings results data. The manager of Operational Excellence for the company was also helpful. Note: In 2012, two plants ordered another 1000 feet of GSS hose with fittings.